Dark violet color. Confected aromas and flavors of dried cherries and cranberries, chocolate almonds, delicate sweet and peppery spices, and floral talc with a supple, vibrant, dry-yet-fruity medium body and a seamless, interesting, medium-length finish with notes of pomegranate, grilled carrot and tangerine, dusty slate, and violet with fine, dusty, chewy tannins and a suggestion of oak flavor. A rather elegant and nuanced Italian varietal blend that will delight at the table. 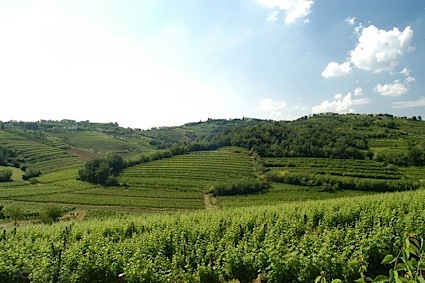 Bottom Line: A rather elegant and nuanced Italian varietal blend that will delight at the table. Other important Australian reds besides Shiraz include Grenache, Mourvedre, Cabernet Sauvignon and Pinot Noir, along with small quantities of Tempranillo, Malbec and a few others. Pinot Noir performs beautifully in Western Australia, while Grenache and Morvedre can be found in several areas, including New South Wales and Barossa. These two Rhone varieties are often blended together; recently a highly acclaimed and popular Austrlaian red is GSM, referring to three grapes: Grenache, Shiraz and Mourvedre. This blend is loosely based on the famed Châteauneuf-du-Pape wine from France's Rhone Valley. Excellent versions of Cabernet Sauvignon are produced in several reigions including the Barossa Valley, Coonawarra and Langhorne Creek. 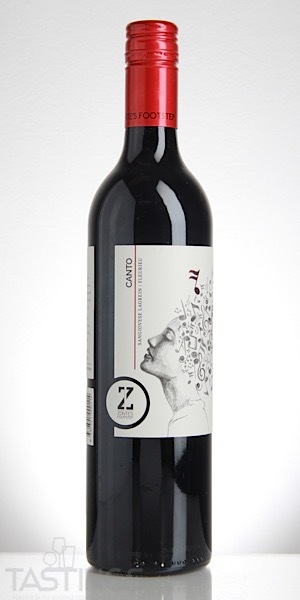 Zonte’s Footstep 2017 Canto Red Blend, Fleurieu Peninsula rating was calculated by tastings.com to be 90 points out of 100 on 9/24/2018. Please note that MSRP may have changed since the date of our review.